Sydney loves to help me in the kitchen. She already has a pretend kitchen, vacuum cleaner, washing machine and lots of food, but she was desperate for a pretend ironing set. 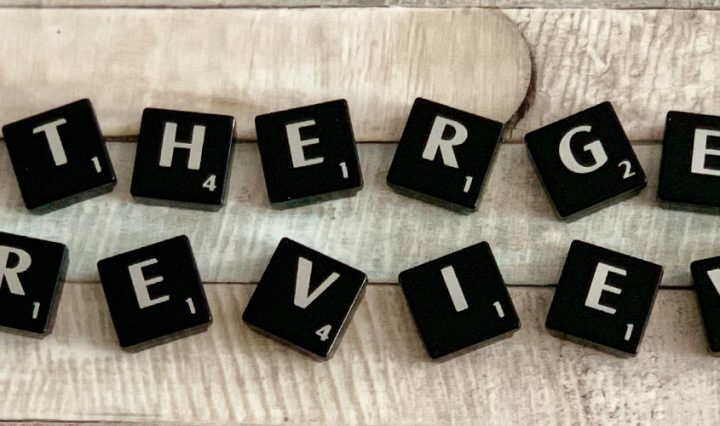 Needless to say, she was thrilled when we were sent one to review! 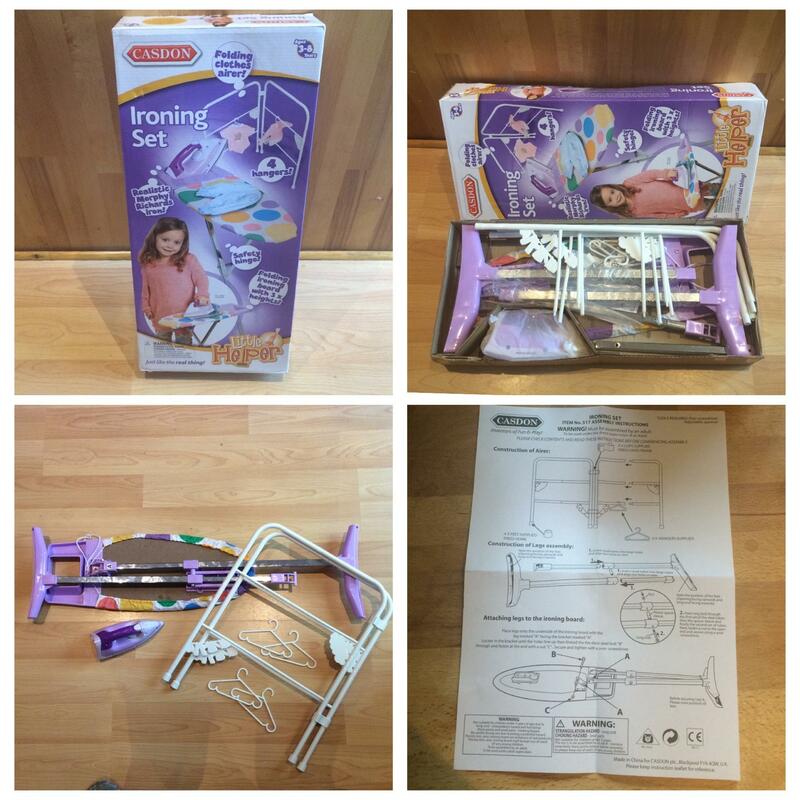 The Casdon Little Helpers Ironing Set has an RRP of £20 and includes an ironing board, an iron, a clothes airer and 4 small hangers – big enough for doll’s clothes. It required assembly before playing could commence – Much to Syd’s frustration! The instructions were a bit of a nightmare to follow with two pre schoolers swinging from you, desperate to play. I’d definitely suggest building it in advance. It took me around 3 attempts to get the ironing board itself set up correctly. Once I’d managed it, the Ironing Board was really sturdy though, and Sydney couldn’t wait to play! As I mentioned earlier, Syd already had a toy washing machine, so she set to work washing Sam’s chewy bibs. 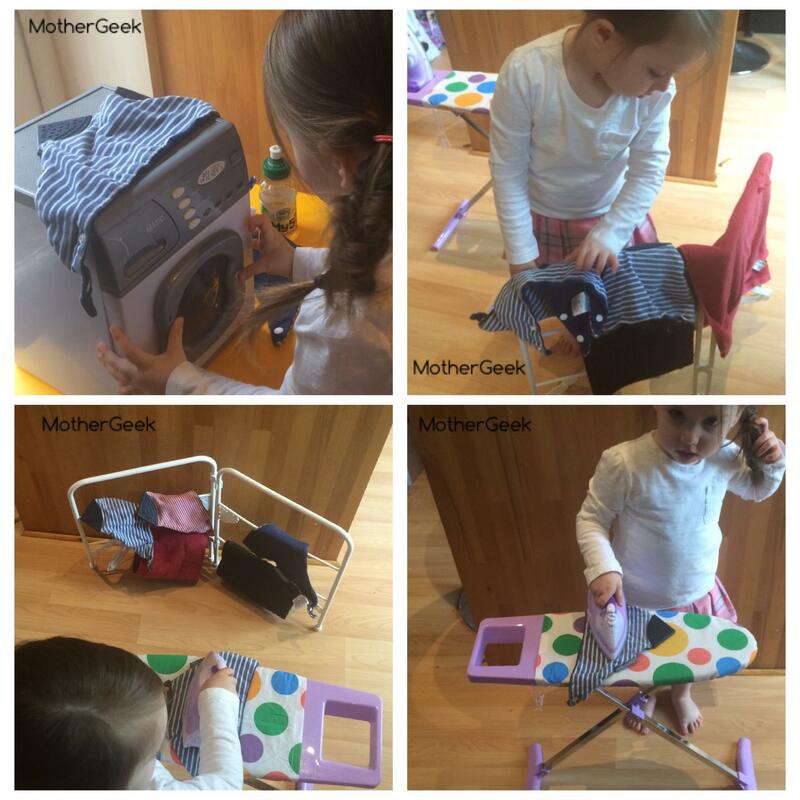 She then put them on the clothes airer to dry, before setting to work ironing them… She had great fun, and loved copying me as I did the ironing too. I loved the fact no batteries are required! It made a refreshing change not having to go battery shopping before we could play. The Ironing Board is height adjustable. Syd is in age 3-4 clothes and was using it on the lowest of the 3 heights. I’m confident most 7 year olds could still use this item comfortably. The Ironing board and clothes maiden both fold down for easy storage too – another huge plus from me! The 4 included hangers are about the right size for Baby Born size doll’s clothes. Syd didn’t bother with these, and draped her “laundry” directly on to the airer, instead. Aside from the stress of building it, the Casdon Ironing Set is brilliant. It is strong, well made and great fun for little people. I highly recommend it.